2018 repress. Originally released on Lovely Music in 1987. Jetsun Mila is inspired by the life of Milarepa, a great yogi and poet of Tibet who lived in the 11th century. The story of his life as told to his closest disciple, Rechungpa, represents one of the most famous works within Tibetan culture. The Mila Kabum, or Namthar, has been translated into several Western languages, including English and French. 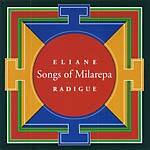 Eliane Radigue's 84-minute musical evocation of Milarepa's life is in nine sections, with prelude, which correspond to major periods of the life of this famous yogi. The sections flow from one to the other without breaks, one giving birth naturally to the next. 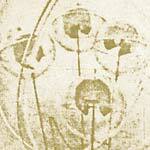 Performed (Arp synthesizer) and recorded digitally by Eliane Radigue. 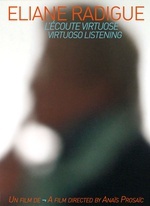 Other Music's Michael Klausman review of the work: "Jetsun Mila eschews text in favor of a purely electronic treating of his storied life via nine passages that slowly and seamlessly flow into one another. Radigue is one of the most perceptually disorienting composers I've ever heard, her exploration of inaudible subharmonics and overtones has a way of physically changing the landscape of the room her music inhabits, and it becomes difficult to sort out what the reality is between what you're perceiving and actually hearing. Jetsun Mila is deeply meditative, with some passages conjuring the random patterns of bells blowing in the stark mountains and valleys of Tibet, while others have the sustained power and near violence of Tibetan ritual horns. Her genius is that she achieves those effects through allusion rather than mimicry, trusting in the listener's ability to pursue the truth just as Milarepa did with his inscrutable words of wisdom." Restocked; 2003 release. Originally released on Lovely Music in 1998. 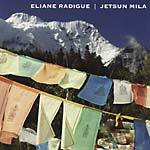 Double CD of all five of Elaine Radigue's songs in tribute to the Tibetan saint and poet from the 11th century. Two of the tracks dates from Radigue's first release in 1983, two are previously unreleased and the final 62-minute track was previously issued as a sole CD in 1987. The material is performed by Radigue (synthesizer and recording), Robert Ashley (English voice), and Lama Kunga Rinpoche (Tibetan voice). 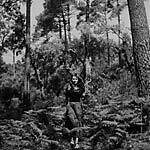 Radigue was born in France and has studied under Pierre Shaeffer and Pierre Henry; her music has an extremely organic and mystical electronics vibe, and has been previously documented on Phill Niblock's XI label, as well as Metamkine and Lovely. Milarepa is a great saint and poet of Tibet who lived in the 11th century. Through years dedicated to meditation and related practices in the solitude of the mountains, Milarepa achieved the highest attainable illumination and the mental power that enabled him to guide innumerable disciples. His ability to present complex teachings in a simple, lucid style is astonishing. He had a fine voice and loved to sing. When his patrons and disciples made a request or asked him a question, he answered in spontaneously composed free-flowing poems or lyric songs. It is said that he composed 100,000 songs to communicate his ideas in his teachings and conversations. 2018 repress; 1998 release. 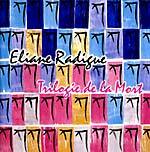 Voted one of 1998's top 15 Records of the Year in Modern Composition by the writers and critics of The Wire, Trilogie de la Mort is a work in three parts for anolog Arp synthesizer. The first third of the work, Kyema, is inspired by The Tibetan Book of the Dead and invokes the six intermediate states that constitute the existential continuity of the being. Kailasha, the second chapter, is structured on an imaginary pilgrimage around Mt. Kailash, one of the most sacred mountains in the Himalayas. Koumé makes up the last part of the trilogy and emphasizes the transcendence of death. Restocked. Alga Marghen very proudly presents a remastered version of Vice-Versa, Etc..., an LP originally included in the first 400 copies of Eliane Radigue's Feedback Works 2LP. Vice-Versa, Etc... was originally a small handmade box, signed and numbered and released on the occasion of a show at Lara Vincy's gallery in 1970. The box contained a reel of magnetic tape and the instructions for use. It indicates that all playback speeds are possible, forward or backward, as well as any combination of two channels, on several recorders, ad libitum. This LP presents two versions done by Emmanuel Hoelterbach following the indications of Eliane Radigue to the letter, respecting her composition methods. 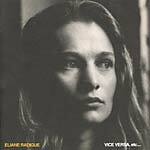 There is no doubt that Eliane Radigue's vocabulary is based on observing and entering into dialog with the fundamental behavior of sounds: pulsing, beating, sustained, very light, a subtle and delicate evolution. When she moved from feedback sounds to the ARP synthesizer, she naturally continued the same music -- a continuity where the original use of feedback sounds stands out for its cruder and more savage inner character. One could say that somehow it's the very texture of the sounds, which leads the form of her compositions. At the same time, this approach favors an intense sensuality in the listening. Restocked. 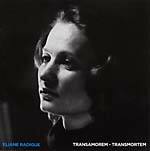 "Eliane Radigue's Adnos trilogy was composed between 1973 and 1980 and is among her finest compositions. Adnos is a deeply meditative work of infinite depth and sensitivity; one of the high points of modern minimal electronic composition. Packaged in a heavy duty 3CD jacket much like the recent Eleh releases and containing extensive archival materials." 2012 release. 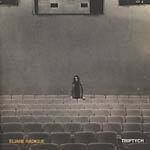 "Eliane Radigue is a justly celebrated figure in electronic music. Her work has roots in Europe's post-war avant garde, and she has been linked with the pioneers of American minimalism such as Terry Riley, La Monte Young, and Steve Reich, but her monumental meditative compositions have taken a singular path, transporting the listener into new realms of sound. In June 2011 in London, the Spitalfields Summer Music Festival paid tribute to Radigue's entire body of work, and the Grande Dame of long duration music was enthusiastically welcomed by a new generation of admirers young enough to be her grandchildren. 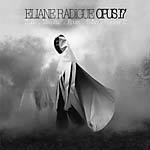 Between 1967 and 2000, Eliane Radigue composed more than 20 pieces of electronic music. For a composer who mostly worked alone, to collaborate closely with musicians during the composition process is an epiphany." NTSC all region.